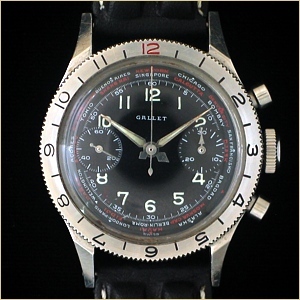 With the ability to calculate changes in time zones as a pilot crossed over lines of longitude, the Gallet Flight Officer chronograph is one of the most renowned and respected military use timepieces ever created. 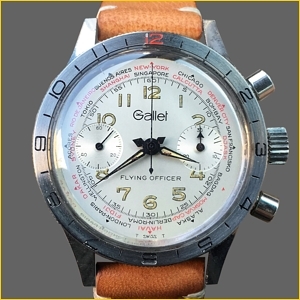 The original Flight Officer evolved directly from the Gallet MultiChron model 30M, the world’s first fully waterproof wrist worn chronograph. 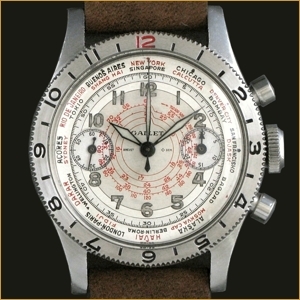 A rotating 12 hour bezel and dial indications for the world's major cities was added to the MultiChron 30M, making it possible to easily calculate changes in the time as an aircraft flew across lines of longitude. 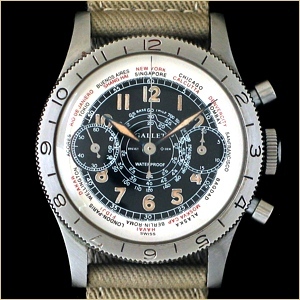 Developed upon specific request for the United States Army Air Forces, this ground breaking new timepiece was first issued exclusively to the American and British pilots who flew the missions to our victory during WWII. 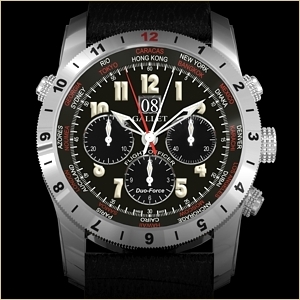 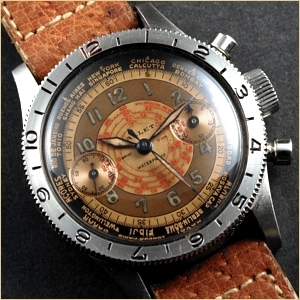 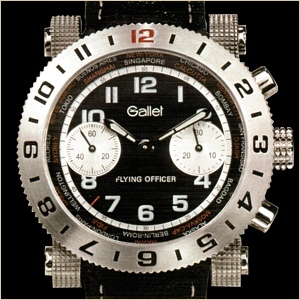 After the war, the Flight Officer became a watch of choice for both commercial and private aviators across the globe. 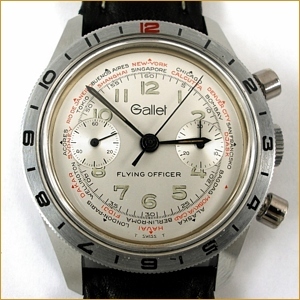 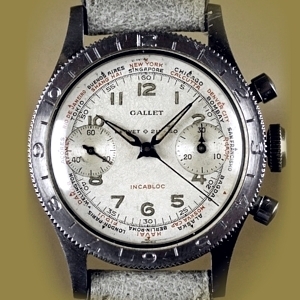 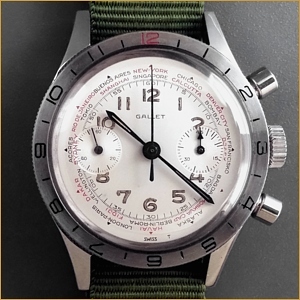 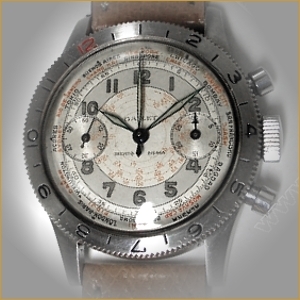 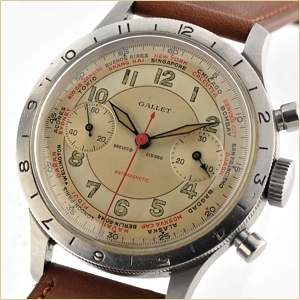 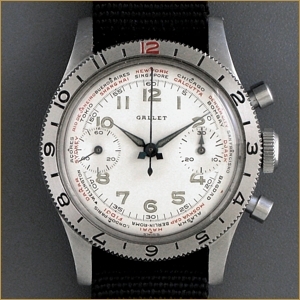 After more than 80 years, the Gallet Flight Officer chronograph is still airborne. 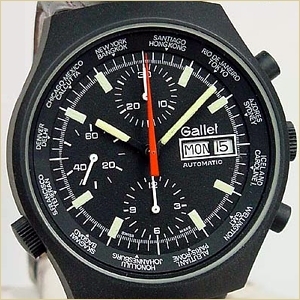 Application: aviation, navigation, long distance racing, etc. 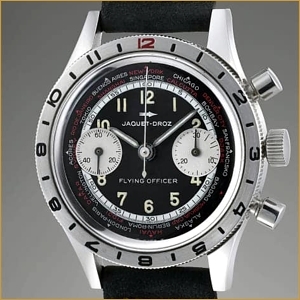 Production years: 1975 - ?